And I will give unto thee the keys of the kingdom of heaven: and whatsoever thou shall bind on earth shall be bound in heaven: and whatsoever thou shalt loose on earth shall be loosed in heaven – Matthew 16:19. The Church is a body of believers who believe in the doctrine of the Bible. The Church is not the building we come together to unite in worshipper, its individuals who have partial or completely submitted themselves to the doctrine of the Bible. Jesus empowered those who denied themselves to follow His instructions, and He rebuked the religious leaders who spoke the Word but denied the Word (Even so ye also outwardly appear righteous unto men, but within ye are full of hypocrisy and iniquity – Matthew 23:28). The Pharisees and Scribes were those who knew the Word of God, could quote Scriptures, but couldn’t live according to the Scriptures they were quoting. Praying according to the Scriptures gives us an advantage to our prayer because God watches over His Word to perform them, and Satan knows the Word of God and he has to submit to them. The church has been giving power through the Son of God, but many are living opposite of what the Bible has instructed and this is keeping the power of God from flowing in their lives as it should. Satan’s strategy is to keep the believer from knowing their authority, so he keeps them busy with other things rather than finding out what has been given them from the Father. If you never take the time to read and study the Bible you will never understand the power God has given you, and this will keep you defeated. Satan is the enemy and his job is to keep you and me from knowing who we are in God. There is no reason for those professing to be Christians to be defeated in their worship of the Lord, you see worshipping is not just when we’re praising Him, but reverencing Him in your daily life. Worship makes the praises acceptable to God; worship and praise defeat the enemy of our soul. The flesh consists of our soul which is our mind, will and emotions and the flesh desires to do the opposite of what God has instructed unless we have submitted ourselves completely to the Lord. Many times there are distresses in our lives that shouldn’t be and we haven’t taken authority over it, but continue to let it be. When we allow things in our life that we don’t want, because we’re allowing it, God will allow it. Sometimes we go through because God is trying to place us in another level of faith and then there are times, we’re going through because Satan is attacking us, so we need to know who’s giving us the trouble we’re going through. If it’s God, we need to submit and allow Him to do in us and through us what He desires to do. If it’s Satan, we need the strategy from God to defeat the enemy and it comes through prayer. When God is trying to take us to a different level in the Spirit, He will allow things to enter into our lives to get us to pray and fast, whatever it takes to get us where He is trying to take us, He will allow it. God wants us to live in the authority He has given us. 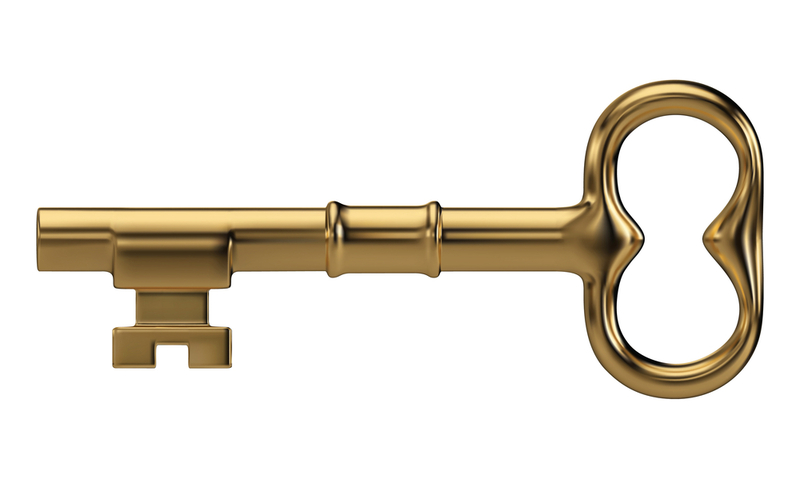 Jesus gave the church keys of the kingdom, keys are the symbol of apostolic authority granted by Jesus. Some may think this authority was only given to the twelve Apostle, but it was given to the body of Christ (John 3:5 – Verily, verily, I say unto thee, except a man be born of water and of the Spirit, he cannot enter into the kingdom of God). The kingdom of God is in power. Power to love, the power to not hate, the power to not envy others, the power to live according to the Word of God, the power to take authority over demonic activity. Whatever is needed for us to accomplish a successful life, God has given us the power through His Spirit living within us. Keys are to open and close doors. Prayer is a key to reaching God (Ask, and it shall be given you; seek and ye shall find: knock, and it shall be opened unto you – Matthew 7:7). Praise is a key to bring you into the presence of God (Thou wilt show me the path of life: in thy presence is the fullness of joy; at thy right hand there are pleasures for evermore-Psalm 16:11). Peace is a key (I will both lay me down in the peace, and sleep: for thou Lord only makest me dwell in safety – Psalm 4:8). Peace will close the door to fear, and anxiety. Jesus has given us keys to open and close doors, we need to learn them and use them.